In this blog, we are going to look at which cannabinoids are healthy for the brain. Please don't confuse cannabinoids with cannabis, which has psychoactive effects on the brain. There is a healthy way to get the benefits of cannabinoids without using a drug. With doTERRA’s recent introduction of the essential oil Copaiba, there have been a lot of questions circulating about its relationship to cannabis oil. Are they essentially the same oil, do they produce the same benefits, and does Copaiba derive from Marijuana? So I thought I would break it all down and show that despite Copaiba’s comparison to cannabis, there are differences in Copaiba that make it a safer and more effective choice. First off there are two different cannabinoid receptors in the brain: CB1 and CB2. CB1 is a psychoactive receptor CB2 interacts the nervous system level CB1 receptors in the brain are psychoactive and produce the high or hallucination that people often experience when smoking marijuana. CB2 receptors interact with the cells at the nervous system level and are responsible for pain management and inflammation and even mood. Let’s begin with a little background on cannabinoids. There are 3 main types of cannabinoids, which is a chemical compound that affects one or both cannabinoid receptors in the body. The three types are: CBD, THC, and BCP. 1 - CBD which stands for Cannabidiol is a naturally occurring component of the cannabis and hemp plant and interacts indirectly with the CB2 receptors. 2 - THC, which stands for Tetrahydrocannabinol, is a chemical compound in cannabis that produces the “high” and affects primarily the CB1 Receptors. 3 - BCP, or Beta Caryophyllene, only interacts with the CB2 receptors and affects the nervous system directly and is beneficial for mood and pain management. Okay, so now that we have the foundation of cannabinoids and cannabinoid receptors down, let’s learn some more about Copaiba and what sets it apart! Let's begin with, Copaiba which derives from the resin of the copaiba tree in the tropics of South America, contains high levels of BCP (much more than both marijuana and hemp). That means that it only interacts with the CB2 receptors and assists with pain management, the digestive system, respiratory system, and overall cellular health without the psychoactive effects. It is also neuroprotective and helps to calm anxious emotions and can be used to clear blemishes on the skin. While it gives off many of the same benefits as marijuana, it does not interact with the CB1 receptors (psychoactive receptor) and therefore does not give a “high” feeling, is zero risk, and 100% legal. Cannabis which contains THC and interacts with the CB1 receptors has been shown by researchers to destroy hippocampal memory and stunt the growth of an adolescent brain. 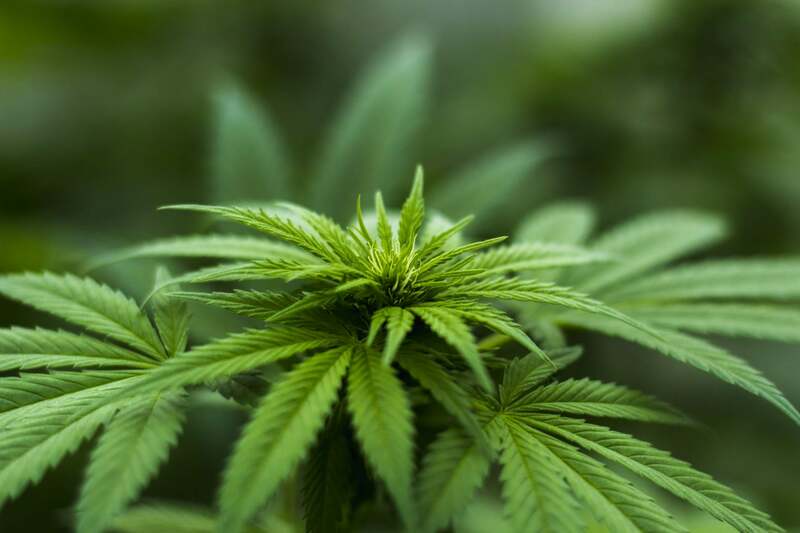 Because THC produces psychoactive responses, it can inhibit a person’s ability to perform well, and is therefore illegal in most states and forbidden in the workplace. So although there are similarities between the two oils, Copaiba not only produces more of the cannabinoid BCP, but it does so without producing the psychoactive effects of CB1 that can interfere with a person’s ability to perform. It also does not pose a risk to adolescent brains, especially their hippocampal memory. For these reasons, Copaiba is often the better choice! 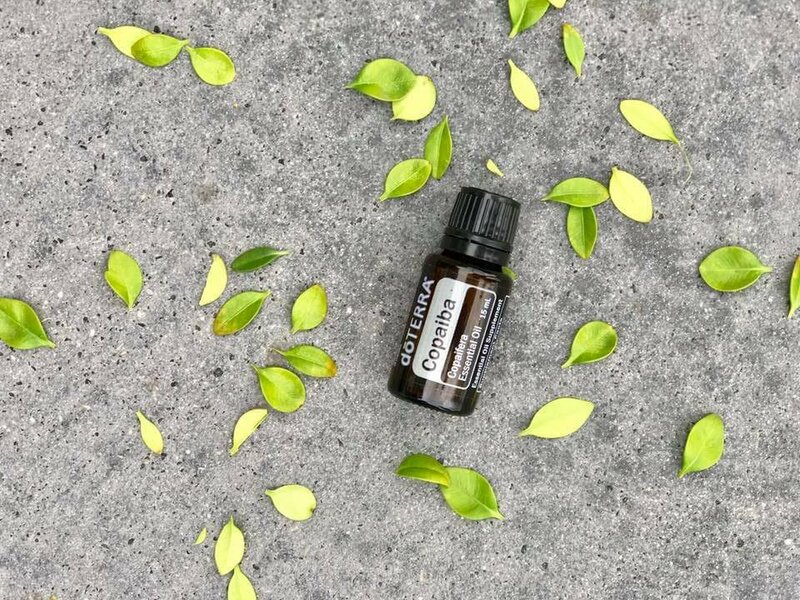 How Do I Use Copaiba? There are several ways to use Copaiba essential oil! Because most of the body benefits from Copaiba, you can add 1-2 drops of the oil to your water or juice each morning. This will allow for the oil to support the health of your digestive, respiratory, nervous, and immune system. To keep your skin clean and clear, you can add Copaiba oil to your toner or moisturizer. After a stressful day, you can diffuse the oil to calm any anxious feelings or use in a calming bath by adding 2-3 drops to body wash and mixing it in the bath water. And lastly, you can add 1-2 drops to a veggie capsule to take advantage of its antioxidants. There are so many ways to use this incredible oil and so many reasons to do so! And to know that there are no psychoactive side effects is a bonus. Check out my essential oils tab in the menu above to learn more about getting started with essential oils!